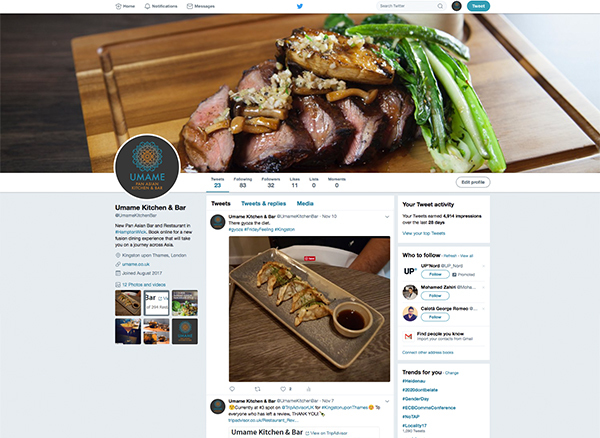 UMAME Kitchen & Bar opened in October 2017. 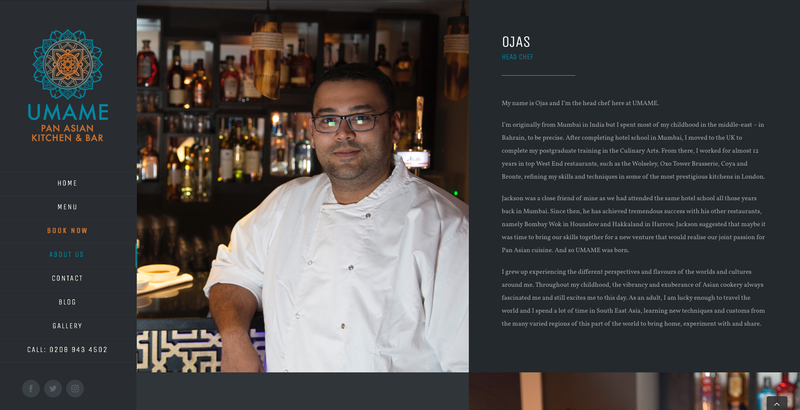 We worked with this exciting local business to create the branding and marketing materials ahead of the business opening its doors to the public. 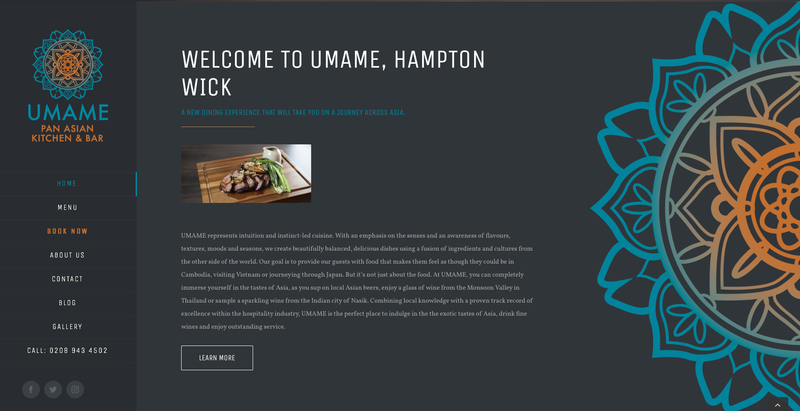 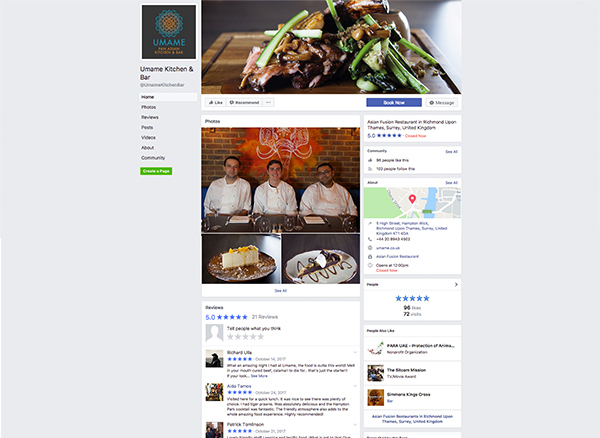 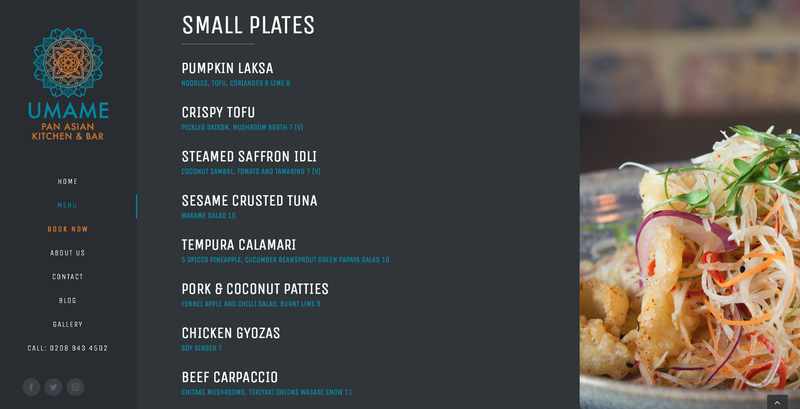 As part of this project, we used the branding developed for this business and turned it into a contemporary and easy-to-use website for customers of UMAME with a menu and booking page, along with useful information about the restaurant’s location, the impressive team behind UMAME and their unique take on Pan Asian cuisine. 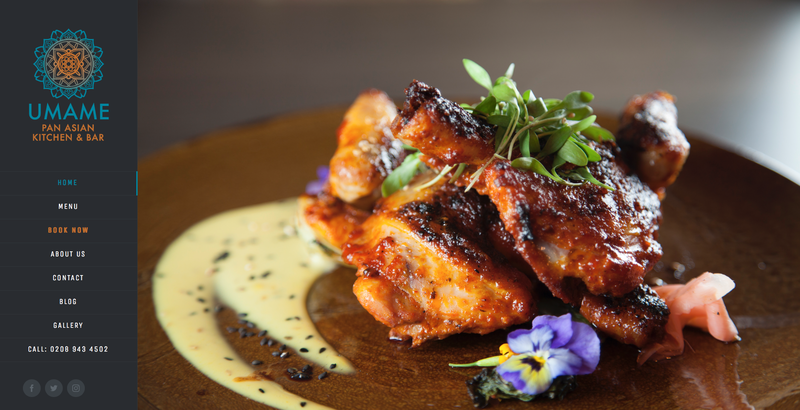 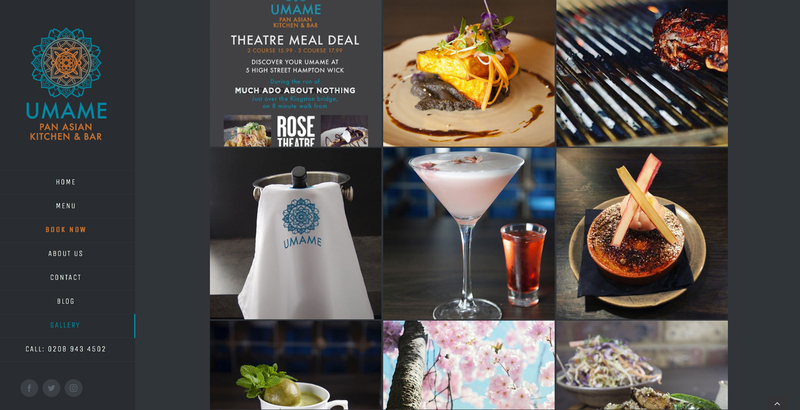 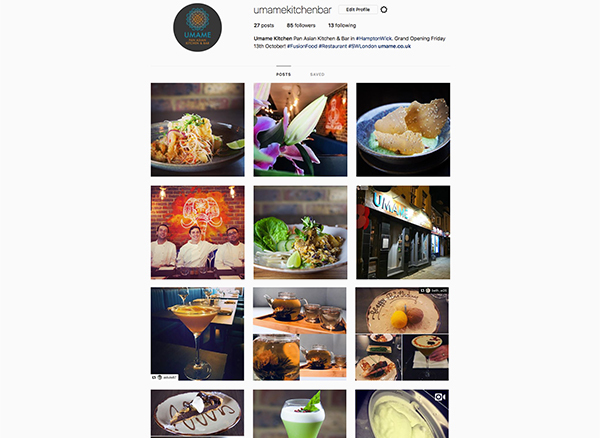 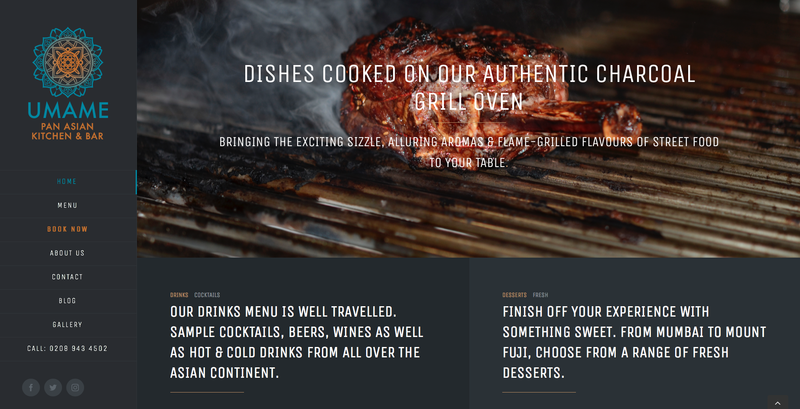 As well as the graphic elements and styling of the website, we were also responsible for all food and drink photography on the website which shows off the amazing dishes and cocktails available at Umame to their fullest. 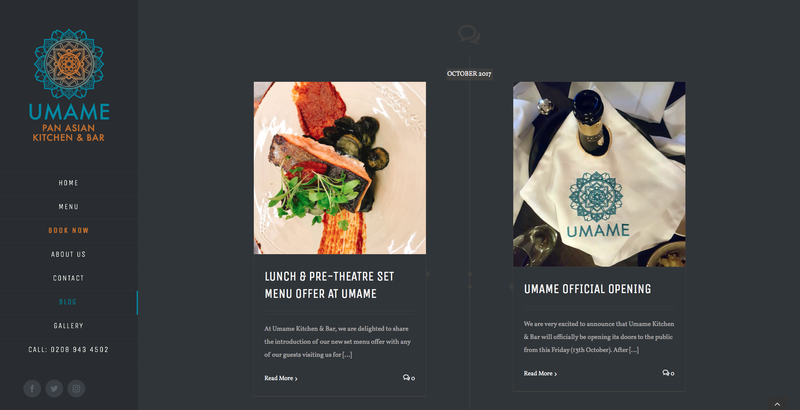 All written content on the website was also provided by us after consultation with the owners.